The ATMA Application form is now available on the official website from 4th December 2017. The candidates who want to appear in ATMA exam 2018 have to register for the exam. 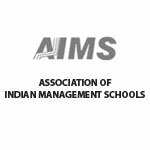 5 December 2017: For the AIMS Test for Management Admission or ATMA exam 2018, the application form is available on the official website from 4th December 2017. The last date of form submission is 9th January 2018. The exam is schedule on 14th January 2018 for which, the admit card will be available from 11th January. This test is for the admission of PGDM, PGDBA, MBA, MCA, MCM and other post graduate courses in 740 top postgraduate management schools. The user will be redirected to the registration page, where he or she has to provide all the verified credentials like personal ID Code, name of the candidate, address of communication, state, date of birth, gender, landline, mobile, email ID, educational background. After inserting all the details, the candidate needs to tab ‘Click Here to register for ATMA Exam’. An auto generated mail will be delivered to the applicants e-mail address with username and password. This username and password will be used to download the admit card and view the result. Now print the acknowledgement page for future reference. Application Fees: The application fees for the ATMA exam 2018 is ₹ 1100/- along with 18% GST. The total amount of the registration fees are ₹ 1298/-. There is only one kind of payment gateway is available which is online mode (debit card/credit card).